Miss Polly had a dolly. A beautiful daughter that she called her Baby Doll. Every day she dressed her in cute outfits and brushed her hair before they went outside to show off to the neighbors. On the playground, one day her Baby Doll talked to a boy, and for one unforgivable second, Miss Polly let herself be distracted by a woman telling her how adorable she thought her daughter was. 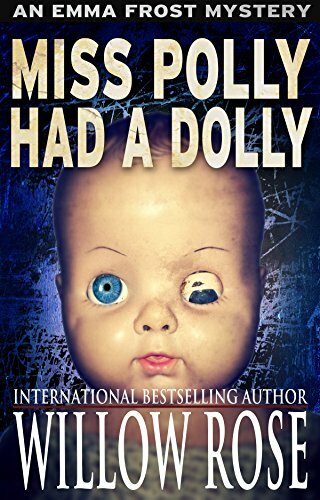 When Miss Polly finally turned to look at her Baby Doll again, she was gone. Many years later Emma Frost hears about the disappearance of the little girl and learns that she is not the only one to have gone missing from Fanoe Island back in the nineties. As she digs deeper into the story, she soon finds herself entangled in a web of strange and disturbing events. ˃˃˃ Miss Polly had a Dolly is the second novel in Willow Rose's Best-selling series about the Danish author Emma Frost.